Continuing with the theme of Laws that apply to Massage Therapy (see Hilton’s Law in Massage Therapy – last weeks post), another very important Law is that of Arndt-Schulz Law. Simply put, Arndt-Schult law states For every substance, small doses stimulate, moderate doses inhibit, large doses kill. (Wikipedia). So what does this mean to us as Massage Therapists and you as the patient. Rudolf Arndt (31 March 1835 – 29 January 1900) was a German psychiatrist from Bialken, district of Marienwerder. Arndt studied in Greifswald and Halle, preferably under Felix von Niemeyer (1820 – 1871), Heinrich Adolf von Bardeleben (1819 – 1895), and Heinrich Philipp August Damerow (1798 – 1866), and was conferred doctor of medicine on 20 February 1860. 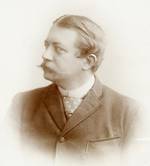 Hugo Paul Friedrich Schulz (August 6, 1853 – July 13, 1932) was a German pharmacologist from Wesel, Rhenish Prussia. He studied medicine in the universities of Heidelberg and Bonn, where he did scientific work in the physiological institute of Eduard Friedrich Wilhelm Pflüger (1829-1910). 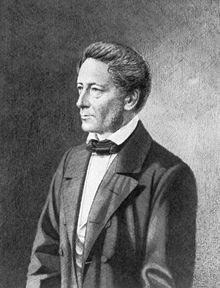 In 1877 he earned his doctorate, and in 1883 was appointed professor of pharmacology at the University of Greifswald. During experiments these two found that many chemical agents had the effect of altering the growth of yeast. It became accepted in the pharmacological world since that time. An example of this Law in effect was a 1944 observation that a large dose of penicillin will kill a Staphylococcus infection, while a small dose will stimulate its growth. But how does this all relate to Massage Therapy. I prime example is two patients of mine at the moment. Both have digestive a bowel sluggishness. Transit times are very slow or sometimes non existent for a day or two, maybe three. Using some gentle but specific Visceral Manipulation techniques have restore these two patients to near normal activity. Arndt-Schult Law in affect? Perhaps, as it would make sence that a little stimulation through the abdominal cavity could begin to create a more rhythmic peristaltic movement of the intestines. Of course the opposite would be true if we were to go in deep and hard into the abdominal cavity, thus eliciting a more Fight or Flight response, thereby shutting down any hope of bowel movement. Another example is using the K Taping method. By applying the K Tape in specific ways we can specifically influences the complex interaction between muscle tension, joints, ligaments and nerves. With just a little tension of the tape applied (weak stimuli), coupled with Hilton’s Law, we can produce changes far beyond the glue of the tape. However my favorite example of Arndt-Schulz Law in affect is with Low Level Laser Therapy (LLLT). An Australian research study showed that dosages 8.0 to 16.0 Joules/cm2 would be indicated for pain reduction (moderate stimuli inhibit) however tissue repair would required a dosage per treatment within the optimal therapeutic window between 0.5 and 5 Joules/cm2 (small stimuli stimulate). Whether or not you believe in the Laws of Physiology or not, they are present. As a practitioner then, it is my job to apply these Laws in helping you recover. Using the Laws of nature is the skill that all practitioners need. If you have any comments, concerns or questions, please do not hesitate to contact me.